Ever read a parenting book and want to discuss it? Looking for strategies that work? Need parenting support? 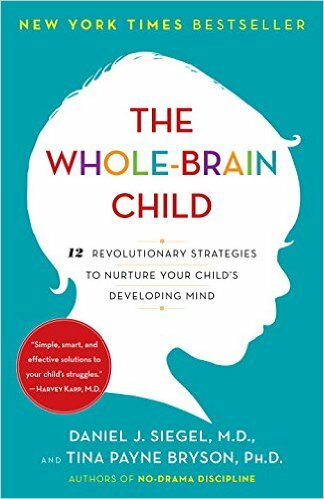 In this book club we are reading The Whole-Brain Child: 12 Revolutionary Strategies to Nurture Your Child’s Developing Mind by Daniel J. Siegel, M.D. and Tina Payne Bryson, Ph.D. This is the one book I always recommend and is certainly worth reading. But instead of just reading it and putting it away, we will read it over a 3 week period and slowly start to use strategies from the book. This approach helps us practice as we go. This is much more then just a book club, we will read, connect and share. Offering support along this parenting journey in a different way. -It is a short read and is practical for everyday parenting. The examples in the book are ones that most parents can relate to. -Daniel Siegel, M.D. is a neuropsychiatrist. The book looks at the science of the brain and how that influences behaviors. -Emotional intelligence is very important for over wellbeing and the strategies in this book offer helpful tools in helping kids develop emotional intelligence. -It explains the brain in an less complicated way and makes it relevant in our parenting decisions. As parents, we can spend so much time focusing on parenting our kids when it comes to food, sleep, beahaviors, and more, all without actually thinking about what is happening in the brain. This book helps to refocus thoughts to consider what is happening in the brain. -Once we understand how the brain works, it can help us think about parenting differently. When your child loses it in the store over wanting a toy, knowing what is happening in the brain can help us respond in a way that can be more effective. Interested in reading it? Want to spend time with other moms of young kids? We will meet on Monday evenings 2/11; 2/25; and 3/11 at 7:15-8:15pm. Cost of the group is $75.00 and does not include the book. It can be purchased online or at most book stores. If you have any questions please email at here or call at 585-208-8140. Please note space is limited and a minimum of 5 people are needed to run the group. To reserve you spot and pay, please click here. If you need would like to discuss paying weekly, please contact me.